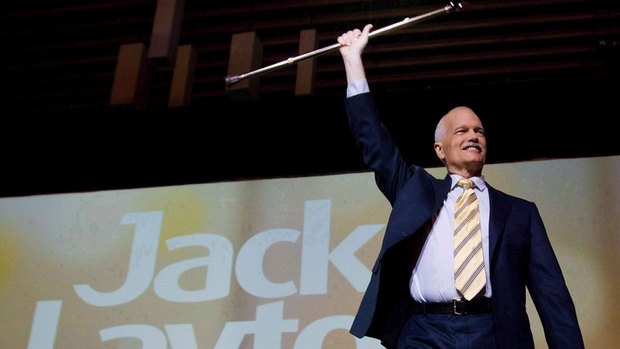 In recent weeks a small group of Toronto progressives have been meeting to lay down the groundwork for an event that would commemorate the fifth year since losing our friend Jack Layton. What began as an informal series of discussions quickly evolved into a sketch for a very ambitious event. Before we knew it, the Jack Layton Memorial Committee was born. We all remember August 22, 2012, when thousands converged on Toronto’s Nathan Phillips Square for a celebration of Jack Layton’s legacy – an incredible event spearheaded by the Broadbent Institute entitled Dear Jack. It is our hope, in partnership with the Broadbent Institute again, to hold another memorial event, this time in beautiful Riverdale Park West opposite to the Necropolis, Jack’s final resting place, in the evening of Monday, August 22nd 2016. We have exciting plans for this event, and will be releasing more details shortly. In the meantime, please save the date.